SGA has three Professional Engineers—licensed primarily in Oregon and Washington. The engineering team is also made up of Engineers in Training (EIT’s) and Engineering Technicians. Our engineering staff has been pushed technically on a variety of challenging projects and possesses an excellent understanding of local government, codes and agency standards. With this combination, we strive in Commercial, Industrial, Residential and Multi-family Developments. As a full service firm, we provide a wide range of development services. 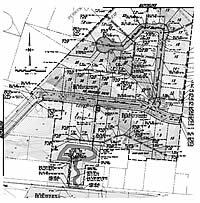 Planning and Engineering are key elements of land development, but they are only part of the puzzle for completing a project. With our knowledge of the agencies development processes, we can steer projects in the right direction with our valuable input. Philosophy is centered around providing quality consulting services, building relationships, and making a positive impact on the community.